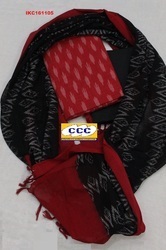 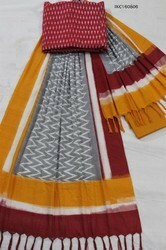 Providing you the best range of ikkat suits, ikat ladies salwar suit, ikat designer salwar suits, fancy salwar suit material, printed salwar suit material and ikat cotton suits dress material with effective & timely delivery. 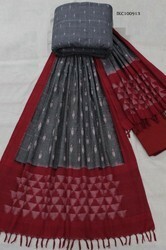 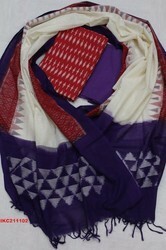 The Ikkat handlooms silk Dress Materials, woven and made by using tie and dye technique process with ikkat artists who has rich experience in designing and weaving. 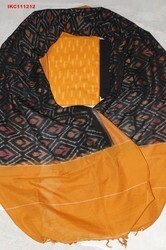 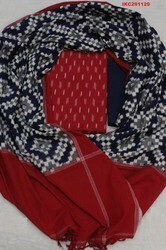 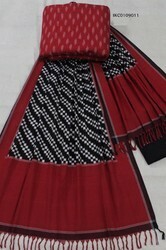 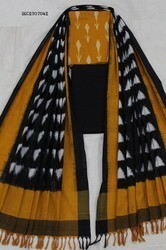 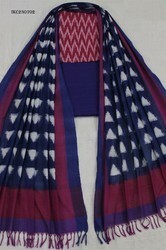 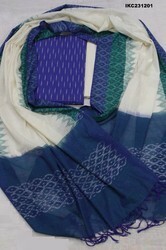 The handlooms Salwar Suits, manufactured and woven by using Tie and dye Technique process with ikkat artists who has rich experience in designing and weaving. 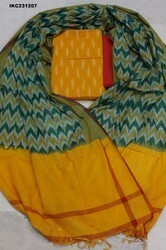 The Suits of Top and Dupata designed on warp and weft with exactly woven on handlooms with the help of master weaver who has rich experience in weaving, the Dupapa has warp and weft design (Vertica & Horizontal) and the warp and weft has been tied and dyed as per the given design, the warp with the help of comb and weft with the help of shuttle fixed on the looms and the same has been vertically and horizontally woven with exact design setting and matching while weaving on looms. 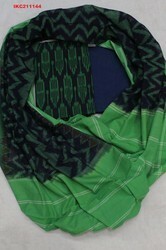 The eco-friendly colours have been applied. 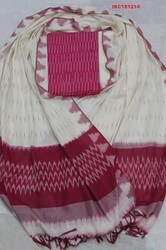 Washing separately for first time, since the same has dyed and the excess residual colour will bleedduring the first wash. 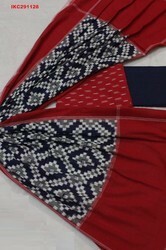 The Suit will shrink negligibly for first wash.
Enriched by our vast industrial experience in this business, we are involved in offering an enormous quality range of Fancy Salwar Suit Material. 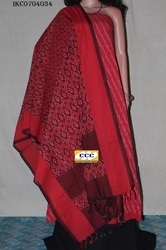 Our company is highly esteemed in providing Printed Salwar Suit Material. 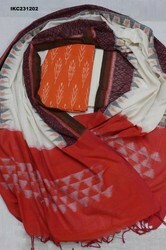 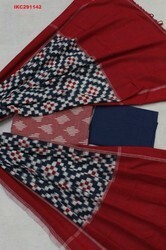 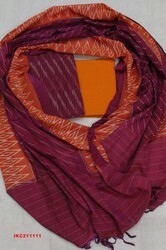 The Ikkat handlooms silk salwar suits, woven and made by using tie and dye technique process with ikkat artists who has rich experience in designing and weaving.